Elite Partitions & Interiors are Nottingham’s leading office fit-out and refurbishment company. We understand the importance of a well appointed and presented office, and the role it plays in reflecting a professional image of your business. We take pride in offering the best and most comprehensive office refurbishment and fit-out packages, as well as other services at every point in between. We’re dedicated to making the installation process as smooth as possible, so we choose to work only with the most trusted and respected industry contractors, those with whom we’ve established relationships over time and many scales of project. Our unmatched experience means your every need is catered for and completed to the highest standards. 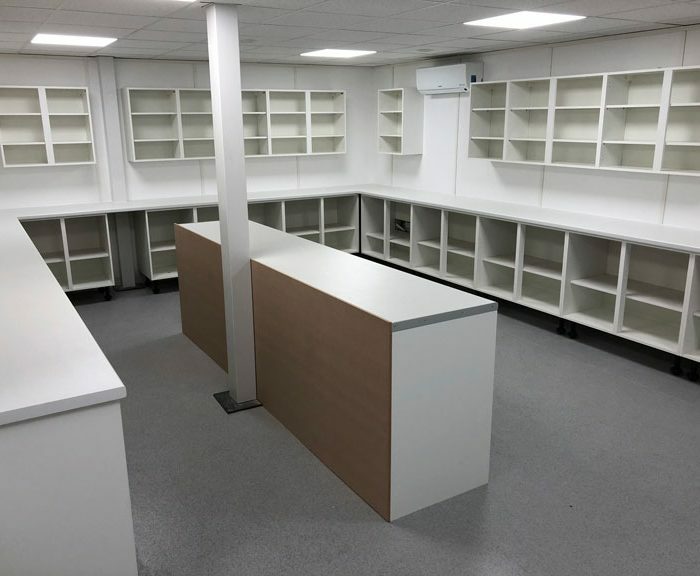 The range of partners we appoint, combined with our own expertise, means we can take care of anything from your office electrical and plumbing services, to new office furniture installation and the appropriate disposal of the old. This makes our offering comprehensive and integrated, as regardless of your project’s scale and service requirements, you need only deal with us throughout. Our small size results in low overheads, which means our clients receive a dedicated service at a competitive price. While we’re based in Nottingham, we serve all areas of the East Midlands and West Midlands including Nottingham, Derby, Leicester, Coventry and Birmingham. We are glad to offer a free quotation service, so please feel free to get in touch to discuss your needs. If you feel your current space would benefit from a complete overhaul of its fixtures and fittings, and perhaps are looking for a more modern, sleek and up-to-date look, then we are the professionals to talk to. Comprehensive office fit-outs are of course a large undertaking, and one that warrants due care and attention and certainty of choice. It also takes time and commitment, on the part of both ourselves and the client, regardless of the industry you might work in. These are unavoidable aspects of an intensive office fit-out though, and are no barrier to one taking place smoothly and efficiently, as once all logistical matters have been taken into account and a realistic installation period agreed upon, projects can easily progress without unnecessary interruption to your work. We value the time we spend evaluating expectations with our clients, and recognise that every job is different, given the unique challenges of various office locations and their current specifications, so we take nothing for granted. What does not change though is our commitment to satisfying every client, by way of delivering their brief to both deadline and budget. Our dedicated and experienced team will conceive then execute the ideal space that is stimulating and inspiring to all who work inside or visit it, and manage the job to the highest standards throughout its duration. We are professionals ourselves, and pride ourselves on our attention to detail. An office refurbishment can make a substantial difference to not only the appearance of your office, but also the way in which it is used and enjoyed by employees and visitors alike. It is an ideal choice should you want to just freshen up your surroundings, or of course is an essential part of totally changing how your company presents itself, but are not interested in the added cost or complications of a physical office move. We begin the process, no matter whether it starts a small or large project, by assessing what works well in your current space, and what elements make your workforce feel comfortable and at home throughout the day. This is a crucial consideration to make. From there, we aim to transform your office but preserve those things which function well, even if they might subsequently appear different. Every stage of the process is approached with our customary attention to detail, superior workmanship and our use of quality and long lasting materials. 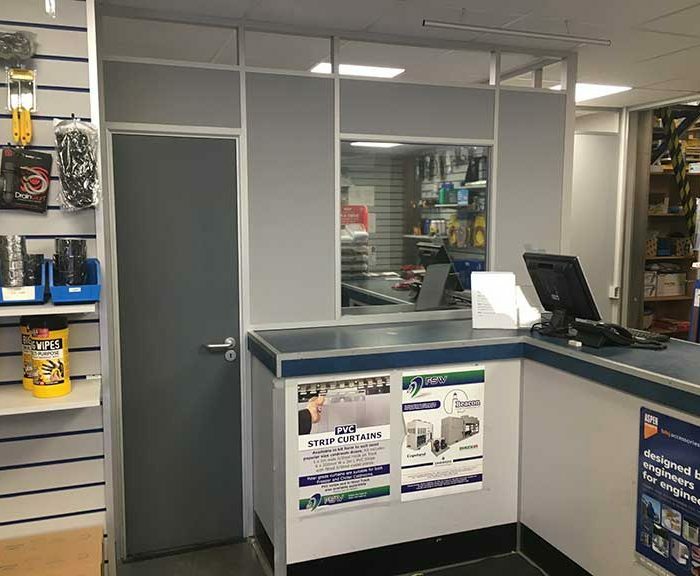 Of course, we understand that the idea of embarking on a refurbishment is daunting to some, given your own business cannot be put on hold while we make the changes. You will hardly notice our presence though, as we are experts at keeping out of the way and up with the clock. Any disruptive work will be held back until after office hours or until the weekend, so ensuring your business operates as usual. The atmosphere your office provokes is in large part due to layout, furniture and design choice, and how each interacts with the other. Not only can this combination motivate a workforce and encourage them to engage more extensively with an office, but the surroundings also contribute to the efficiency of your employees and convey an image of your company as a whole. It is essential to strike the right balance between functionality and appearance, as much as it is to consider the specific needs of employees, for whom an office needs to be built around, and those of visitors, who take away a less detailed but no less important impression. Style decisions and issues of practicality are both essential to pay attention to, and here at Elite we have long valued how one influences the other. We keep ourselves updated with modern design trends and technological developments, as we have to understand how such changes need incorporating into the ever developing office format. Our designs recognise that they must cater to the changing expectations of what an office must look like, feel like and contain, and we are intent on enhancing and complimenting your working conditions. 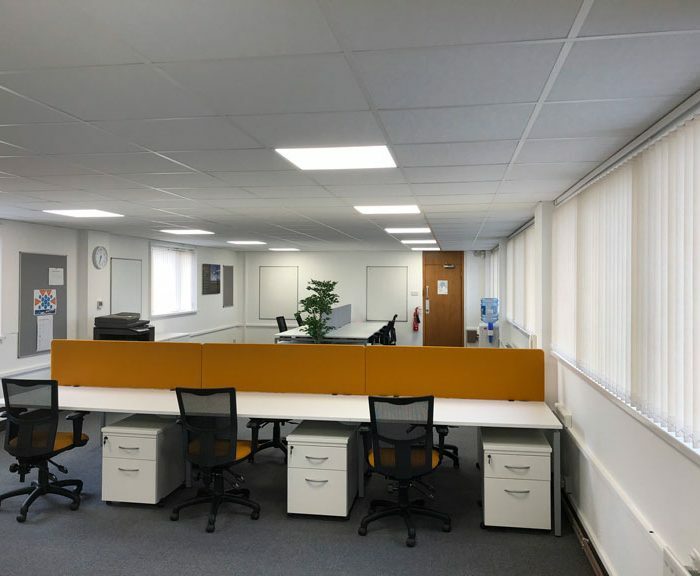 We can also deal with any dilapidation issues you might be confronting, and are equipped to safely remove any unwanted partitions you might already have installed, should you have decided on the more open-plan and collaborative working environment such an office layout invites.